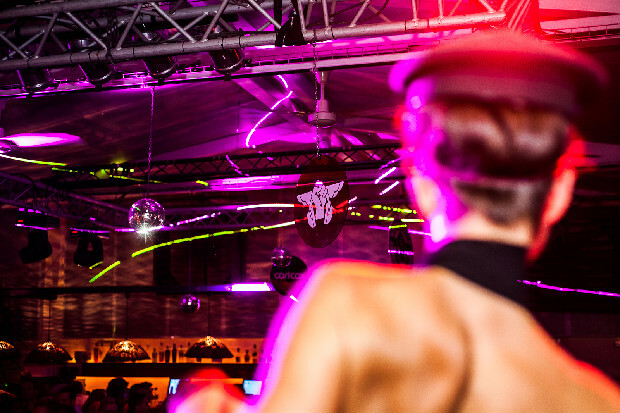 Carl Cox’s Tuesday nights at Space Ibiza have been revelation this summer with their wide ranging line-ups catering for the real house and techno heads. We rock up in the heat of August. Tonight's line up is nothing short of legendary. Cox is to be joined by resurgent M.A.W. 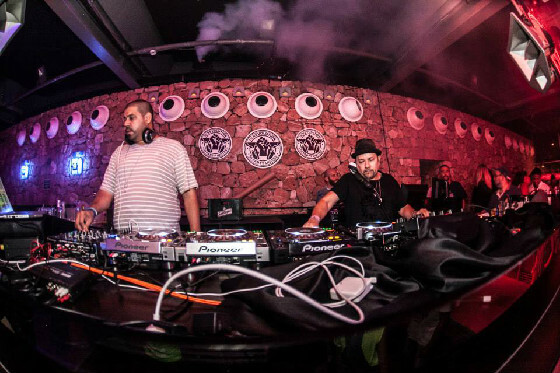 crew Kenny Dope and Louie Vega alongside Dyed Soundorom and Nic Fanciulli. Arriving at 12am we are instantly immersed in the heat and chaos of the Sunset Terrace, where Cox starts his night with a warm up set. House classics are the order of the day, as we wade though a sea of post Bora Bora ravers to take position at the centre of the terrac - just in time to hear New Order's classic 'Blue Monday’ storm through the room. Over in the Covered Terrace we come across Saved Records boss Nic Fancuilli who is playing the first of two sets. 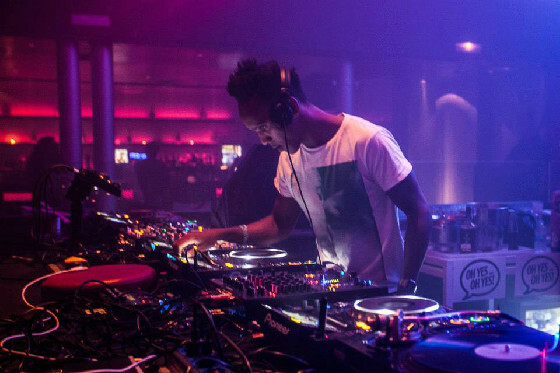 He is kicking off the night now before Masters at Work before moving inside for a back-to-back set with Carl Cox in the dark and imposing Discoteca. As, ever, Fancuilli acquires full attention from the crowd with his signature tech house style constructed from Traktor-engineered build-ups, loops, drops and throbbing basslines. As he closes his set with an extended edit of Reboot’s 2009 remix of Sebo K’s 'Saxtrack', he is met with an embrace from the incoming Kenny Dope. When Dope & Vegas take to the stage, proper - they are met with a huge round of applause as they launch straight into things with Steve Silk Hurley’s ‘The Word Is Love’ followed by big 2013 Ibiza hit– 'Ninetoes' by Finder. As the 'Ninetoes' steel drum riff echoes out the NYC duo transition into another crowd-pleasing track from Hot Creations' secret weapon wAFF, as his baseline heavy ‘Jo Johnson’ ignited the patiently built up atmosphere. We foray into the discoteca to find Dyed Soundorom channeling his groove-infused sound through the imposing Funktion One system. By the time Cox & Fanciulli's set time arrives, the disocteca is packed to the brim. Jostling for position, we catch Cox kick off proceedings with the Hot Since 82 mix of Cajmere’s ‘Bigger Than Prince’ which sets the tone for a relentless selection of crashing big room techno jousting from Cox and Fancuilli that had each and every bone shaking on the Discoteca until 7am. Striking a perfect balance between fresh talent and established hands, Carl Cox has shown once more why his Tuesday night parties are among the island's most popular. Roll on 2014!